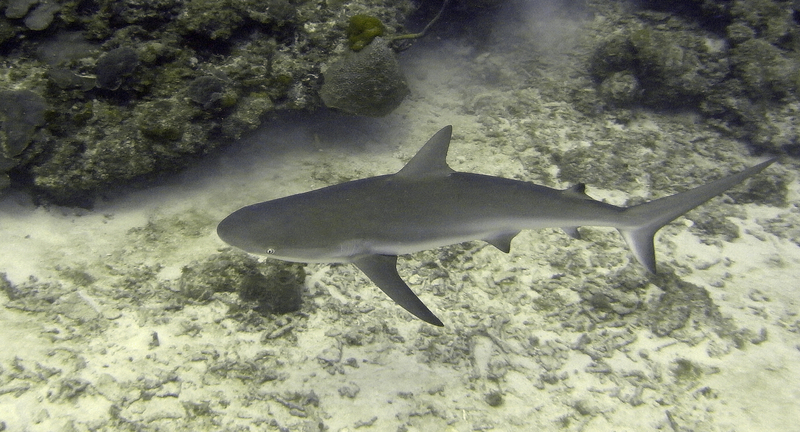 This was a Caribbean Reef Shark, a rather large specimen. Typically I see 3 to 4 feet sided sharks on most dives. This guy was over 6 feet, and was courious as to what I was up to. What I was up to was killing a lion fish, and stopping my thumb from bleeding. The smell of blood was irrestable and he came to investigate. Hopefully you filled him up with lion fish instead of you!